CHARLOTTE, N.C. - Duke Energy, on the second anniversary of its merger with Progress Energy, today announced it has completed and placed into service eight transmission line expansion projects it committed to undertake in North Carolina as a condition of federal approval of the July 2, 2012 merger. 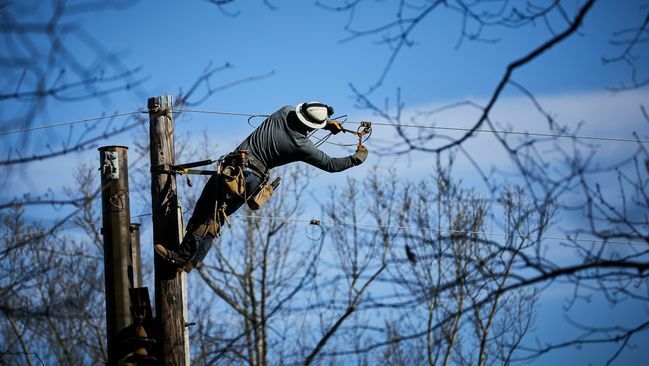 "We completed the projects at a cost of $84 million -- $26 million below our original $110 million estimate -- and put them into service a year ahead of federal regulators June 1, 2015 deadline," said Duke Energy's chief transmission officer, Caren Anders. Seven of the projects are located in the company's Duke Energy Progress service area. One is in the Duke Energy Carolinas service area. The transmission line projects significantly increase electricity import capabilities in the two service areas, enhancing competitive power supply options in the state. Duke Energy now can end temporary electricity sales to three outside power trading companies, which also had been required as a condition of federal merger approval. Since the merger, Duke Energy has produced approximately $300 million in cumulative savings for North Carolina and South Carolina customers, through May 31, 2014, as a result of fuel savings and the combined operation of the Duke Energy Carolinas and Duke Energy Progress power plant fleets. Duke Energy passes those savings on to customers in the two states through electric rate fuel clauses, adjusted annually. Duke Energy is on track to meet the $687 million in cumulative customer savings it guaranteed to regulators during the first five years after the merger. The company also has completed approximately 400 of more than 600 merger-related integration projects to combine the companies' pre-merger systems and operations in dozens of areas, including finance, human resources, information technology and power generation. "Our employees have worked together to find efficiencies and create operational benefits for the company and savings for our customers  as a result of the merger," said Duke Energy's chief integration and innovation officer, Lee Mazzocchi. "With most of the integration work behind us, highly focused employee teams are completing the remaining merger projects."